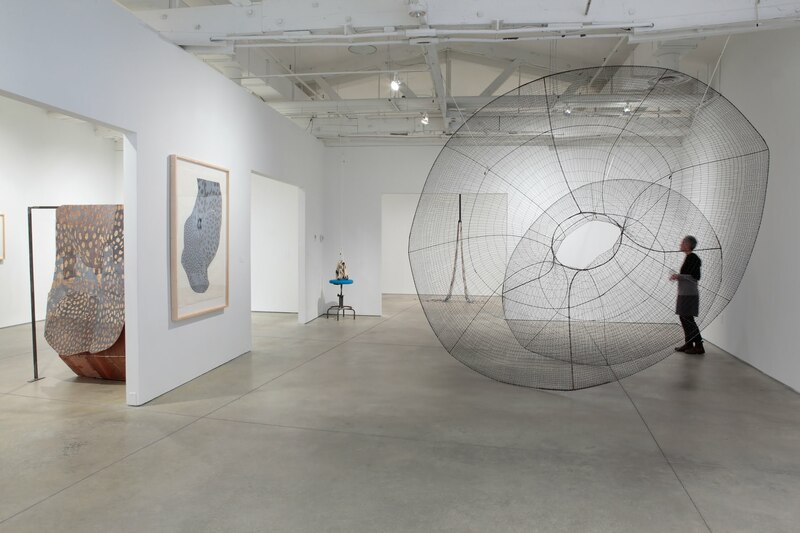 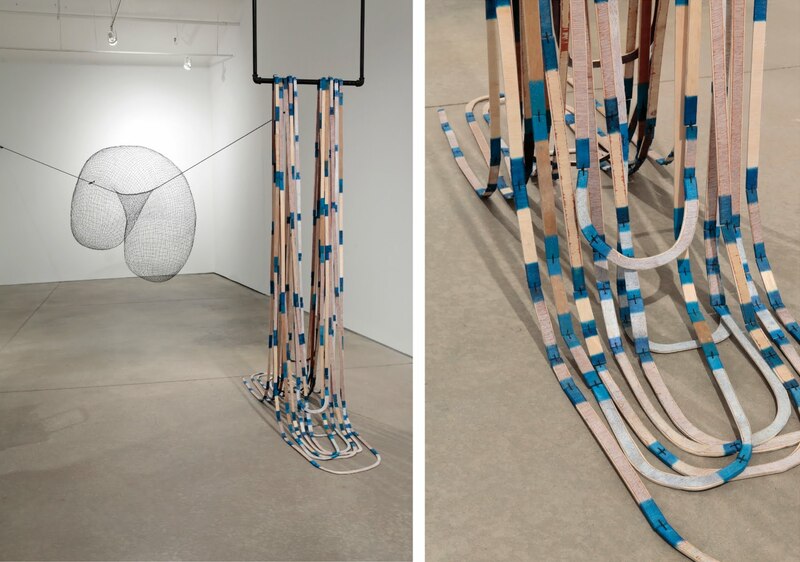 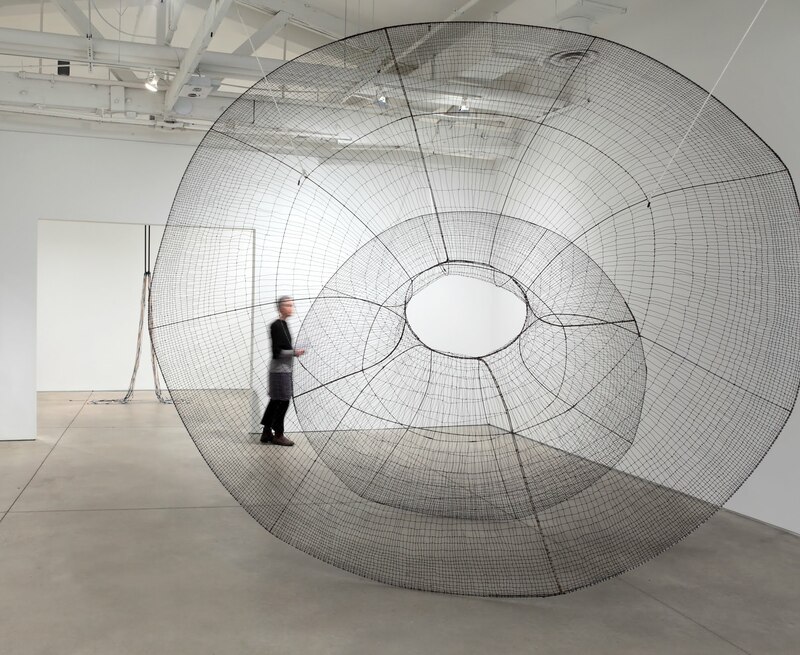 Double Hung, 2015, steel wire, and rope, 76x78x50"
Double Hung, Traitor, installation view. 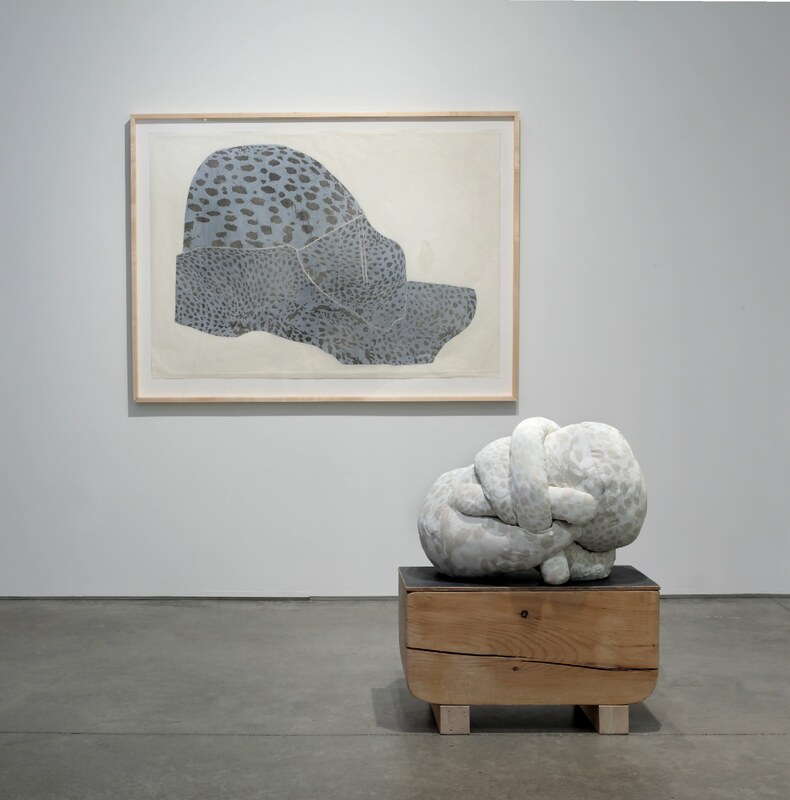 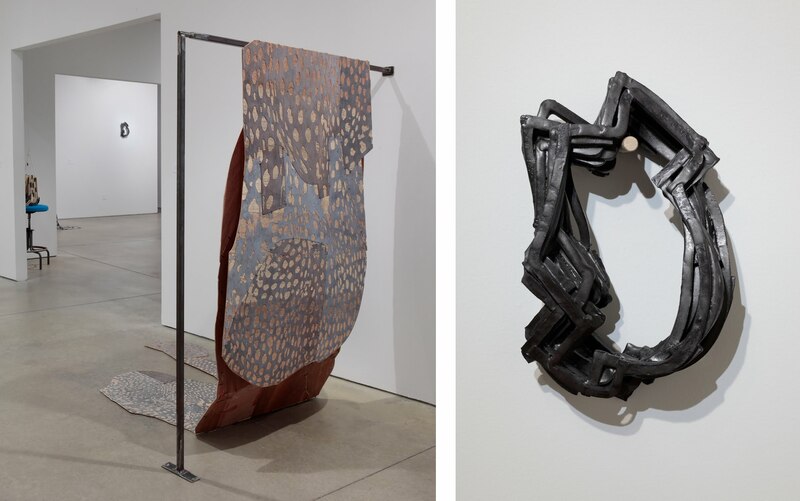 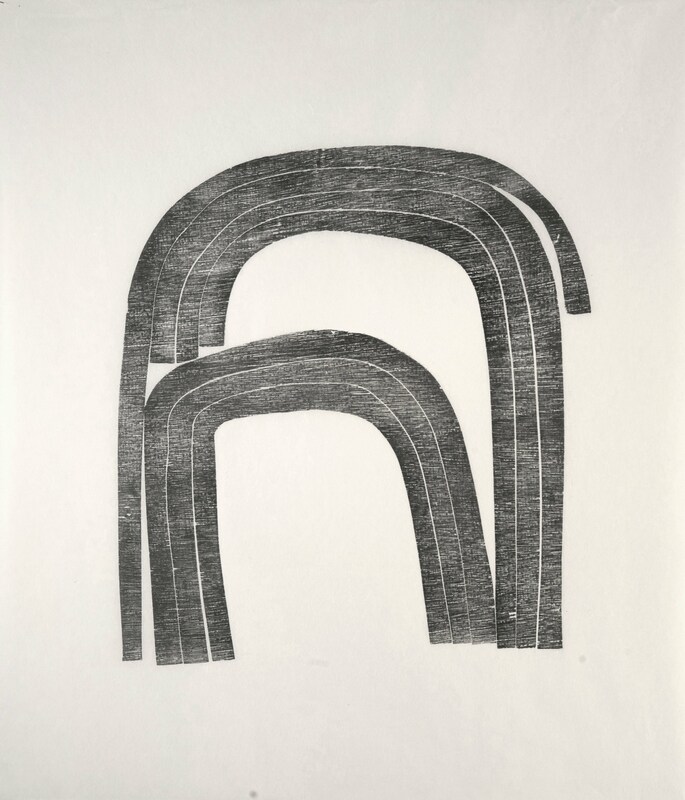 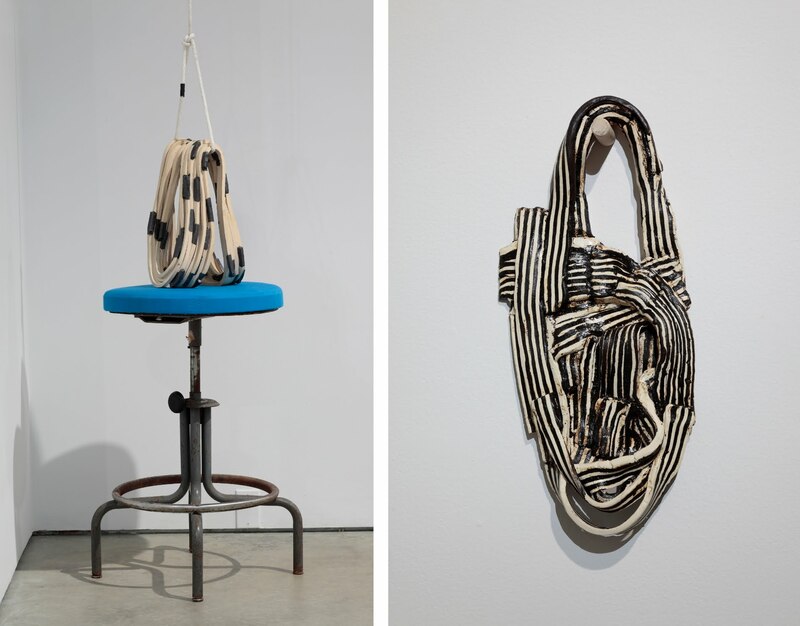 Traitor (detail), 2016, 80x80x18"
Couple (on wall), 2015, woodcut on Kozo, 42x60"
Hold (on pedestal), 2015, fabric, thread, fiberfill, paint, 19x25x16"
Dash, 2016, ceramic, and rope, 15x10x7" Vestige, 2016, ceramic, 15x7x2"
Reveille, 2016, steel, 168 x 168 x 72"
Three, 2015, drypoint on paper, 22x29" Remnant (1), 2016, drypoint on paper, 15x13"
Hide, 2015, plywood, steel wire and steel frame. 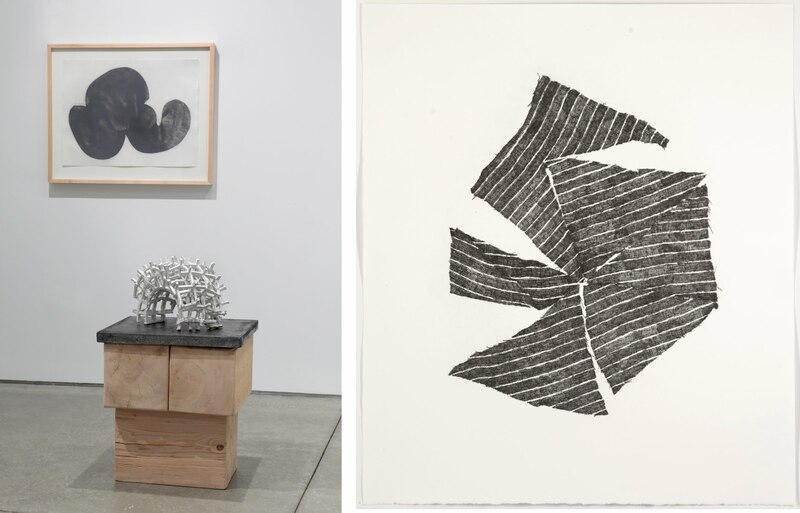 Sketch, 2016, ceramic, 15x9x4"
Sanctuary, 2016, woodcut on Kozo 18x20". 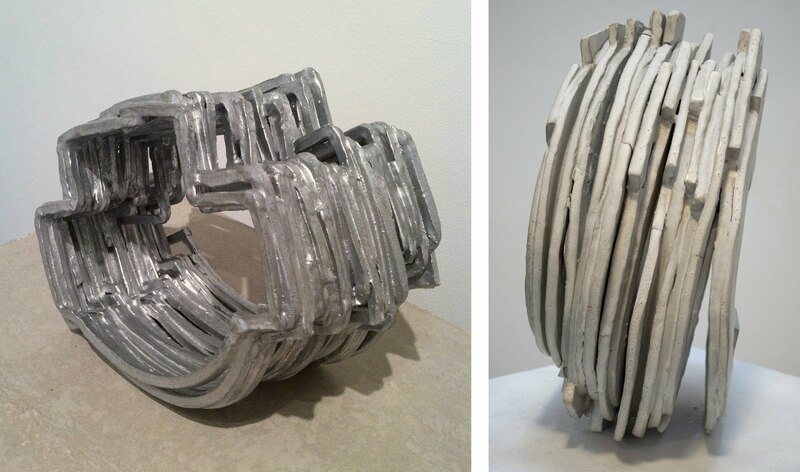 Transept, 2016, ceramic, 12x16x9" Throat, 2015, ceramic, 16x13x8"
Installation view, Push Me Pull You, 2016, Visual Arts Center of Richmond.